I’ve been back on BBC News discussing some of the highlights of Glassdoor’s latest Employee Confidence Survey as well as some earlier research by XpertHR and CMI. 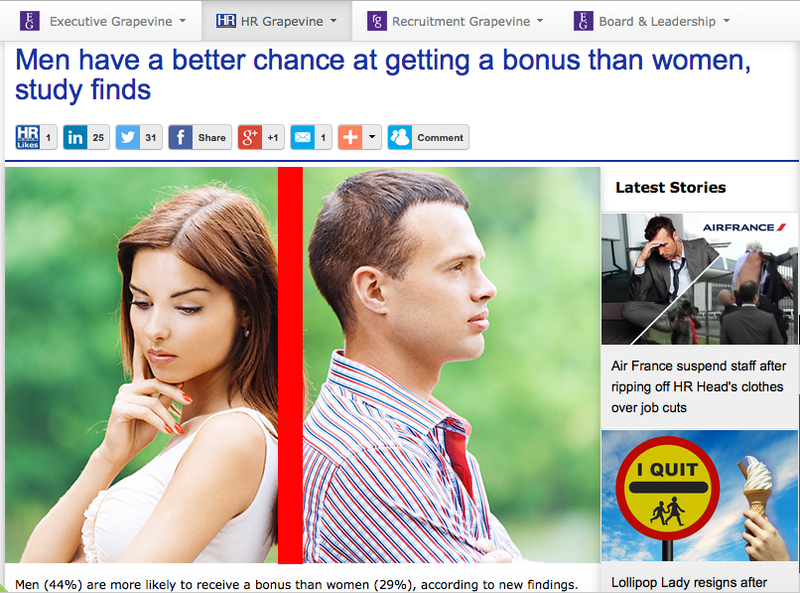 I talk about these findings in this article in HR Grapevine. Secondly, the research also supports the LMS findings on pay with the UK receiving a 3% pay rise over the last year as Glassdoor respondents are also generally positive about receiving a pay rise over the next 12 months. However once again there are concerns as this splits into 44% of men but just 28% of women thinking that they’re going to get a rise. This quarter, Glassdoor also asked about bonus payments and their seems to be a gender pay gap here too. 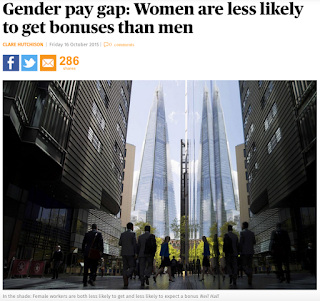 44% of men vs just 29% of women have access to a bonus programme and for women 37% of that programme is connected to company vs individual results, as against this being the case for just 27% of men. 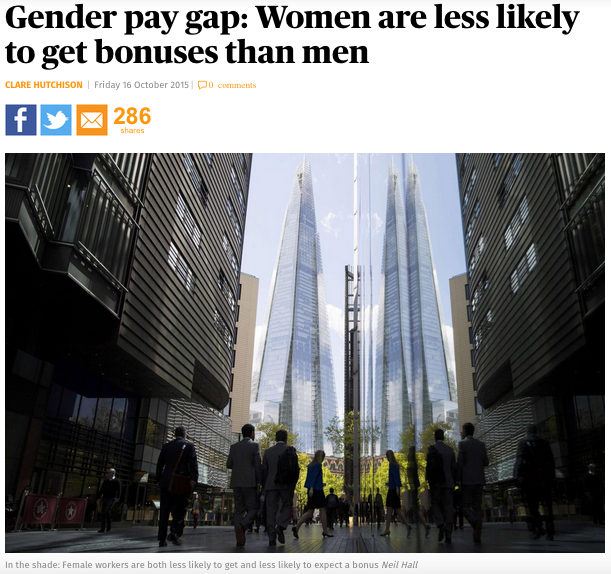 Maybe partly because of this only 61% of women think they’ll actually get a bonus payment, compared to 75% of men. I’m not really very sure what lies behind this. Is there a stereotyped assumption that men will be more motivated by individually focused bonuses whereas women will be more interested in making broader contributions? Or do men push harder for more individually focused bonuses? There are differences in male and female brains and differences in our expectations of and reactions to bonuses as well as pay rises may be due in some part to our distinct roles as hunters and carers in our evolutionary history. However the bigger factor is almost certainly the way boys and girls are socialised differently during their development in childhood and beyond. So even in the working environment, adult women can be seen as pushy if they ask for an individually focused bonus when similar behaviour in men can be labelled more positively as things like ambition or assertiveness. However this works, it contributes to the broader lack of fairness in pay, and may mean employers are missing out on ways to keep women motivated and perhaps even retained and progressing within their organisations. I talk about these findings in the BBC interview and my comments about them are also quoted in this article in the Evening Standard.